This version of dan dan noodles is a very quick and modern take on the classic recipe. Full of the traditional chili sauce and sesame flavors, this recipe incorporates peanut butter to make the sauce ever creamier. The sauce is quick to put together in a blender or food processor and can last in the fridge for up to two weeks. So make extra sauce and have a few meals on hand ready to go! You can also take the heat up a notch on these noodles by adding more chili oil or cayenne pepper to the sauce. Place the garlic, peanut butter, ginger, soy sauce, brown sugar, sesame oil, black vinegar and chili oil in a blender or food processor. Add the chicken broth to the blender and puree until smooth. Set the sauce aside while you proceed to make the noodles. Bring a large pot of water to a boil and cook the rice noodles according to the package. Strain the noodles once cooked. Toss the noodles with the peanut sauce and enjoy while hot! 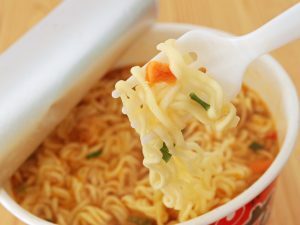 -These noodles go great with any number of vegetables. Try adding steamed bok choy, broccoli or chopped spinach. 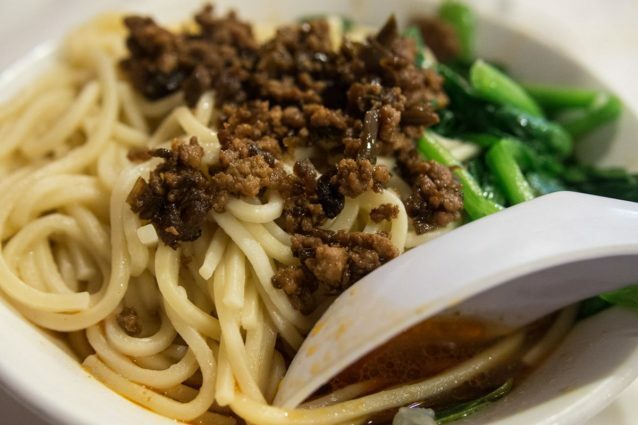 If you want to try adding some meat to the noodles, add some seasoned and cooked ground pork or some grilled chicken tossed in with the sauce. Almost anything will go well with this basic dan dan noodle recipe so make it your own! -Dan Dan Noodles are traditionally more soupy and served as an appetizer. Try adding more chicken broth to the sauce of a thinner texture. Colorful and delicious pasta: here's how to make it and enjoy your meal!